Fashion leggings, comfortable leggings, workout leggings…. It doesn’t matter. Everybody loves them. 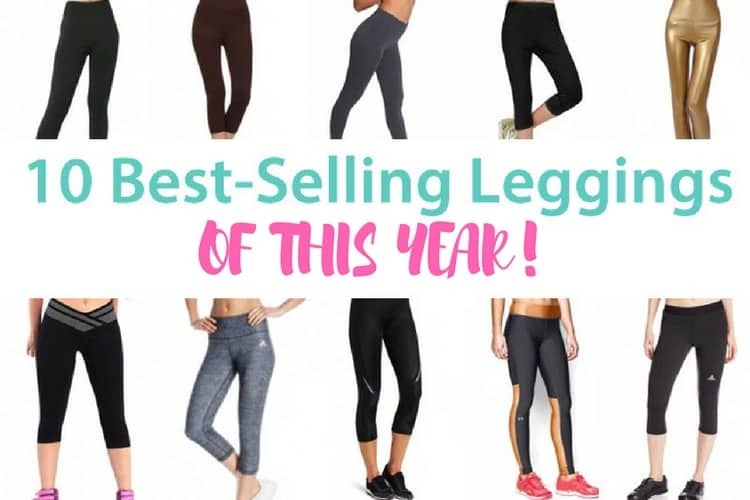 While I was at the gym today I saw a very large amount of them, which prompted me to rush home and compile a list of the best-selling leggings of 2018. And like usual, the best place to buy these is Amazon. Lowest prices and free shipping with Prime? Yes please. I decided to also list what my personal favorite leggings of this year have been, and I’ve divided the list up into two sections, fashion leggings and workout leggings. Lets get to it! You can’t beat black leggings. They are simple, comfortable, and go with practically anything. That is why this D&K seamless full length leggings tops our list. These leggings look good year-round, and are made of a comfortable material which is not too thin or hot. In addition, these look stylish and expensive, not like a pair of child’s leggings (no offense children, but seriously, your leggings look cheap). You can wear these leggings with skirts, dresses, or just by themselves. Not into simple black? These puppies come in 44 colors, sure to please even the pickiest of people. Try them out, we know you will love them too. Very soft textile aswell. I don’t care what you say. You really can’t beat leggings that are on sale for $0.99. Really, that is cheaper than a candy bar, a gallon of gas, a pair of socks, a soda, or really anything else you can possibly think of. These come in tons of different colors too, making the deal even sweeter. They are super soft, either one-size fits all, or plus size, so take your pick. From the reviews, they seem to fit pretty well. But again, even if they didn’t, they are less than $1.00 so that is completely okay. Get some now before they are all gone. As for size, these are true-to-fit, meaning all you have to do is order the size you normally do and you should be good to go. However, make sure to take good care of these because they are prone to pilling. With a little TLC, however, they will look good as new every time you wear them. Let me be clear here and say these are not pants. I repeat, these are not pants. But they are dang comfortable piece of clothing. These are a great pair of leggings for wearing under a short skirt or dress to complement your outfit. But PLEASE FOR THE LOVE OF ALL THINGS GOOD DO NOT WEAR THEM AS PANTS. You can see through them, but if that is what you’re into, be my guest. Totaly not yoga pants. But for only $7.99, they make a perfect addition to your wardrobe if you don’t want to risk ruining your favorite pair of leggings. As we touched on in our list of best-selling dresses of the year, retro and vintage is back in full force. If you want to spice your retro game up, then pick up a pair of these Faux leather high waisted leggings. What are you waiting for? Pick up a pair of these and add a little Grease flair to your wardrobe. These are high waist. And there are plenty of color choices, too. From yellow to pink, they have it all. This pair is great for yoga, running, indoor and outdoor exercise, or just lounging around. Adidas products have long been known for their performance, reliability, and quality. They take a well deserved spot on this list of the best leggings for women. 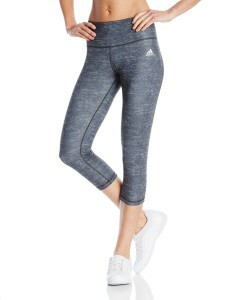 And with this Adidas Performance women’s Performer mid-rise three quarter tights, you can expect nothing less. These leggings were designed for exercise and come standard with moisture-controlling Climalite fabric to keep you dry, as well as an interior drop-in pocket that is perfect for storing a card, cash, or key. And there is no shortage of flattering patterns either. You may have trouble choosing from just one of the 19 intricate patterns offered with these, so you may have to get two or three to ease your mind. These are my personal favorites, and I think you will agree that they are a great bang for your buck. 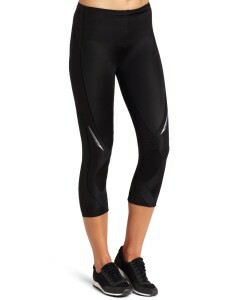 This pair of CW-X Women’s 3/4 length Stabilyx tights are perfect for runners and exercise nuts. The 3/4 length tights with targeted knee and core support is perfect for activities with lateral movement. Cycling classes, dance, running, not a problem. These also come with variable compression throughout, facilitating circulation to minimize lactic acid build-up during and after exercise. Basically, these will keep you as healthy and comfortable as possible, while looking great at the same time. No list is complete without some type of Under Armour product. We love them and in return, they love us back. This Under Armour HeatGear leggings will keep you dry without wearing you down. The signature Moisture Transport System (ooh, fancy) wicks swear to keep you dry and light, allowing you to focus during your workout and feel the burn. Anti-microbial technology is also included, meaning these won’t start smelling two seconds after you start running. Pick up a pair of these to complete your workout wardrobe. If you are looking for a compressive fit without compromising great design, you have found a perfect match. 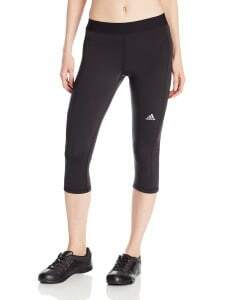 These Adidas Performance Techfit capri tights ensure your tight stays in place during active workouts and looks great. The capri-length flatlock seam construction protects against chafing, leaving you comfortable and focused. The fabric is not too thin so you don’t have to worry about people seeing through. And they are great for running. Just take this recent Amazon customer review, for example; “I love these!! They fit me well! I’m 5″4′ and weigh 135. I wear them on runs that are over 10 miles and they are comfortable, especially around the waist! Light weight material”. Check them out. I am sure you’ll love them! What are your favorite leggings? Favorite workout trends of the season so far?